So here I am again. Now I bring 4 new apk watchfaces, all of them based on the Prototype Source apk. I’d like to thank Aleš Heller for the designs ideas and Kingofdevils and Marco Fregapane for their help. Remember, if you have a Rom version 1.2.49k+, use the Pacefied version. If you have any other rom, like stock/stockified rom (1.3.x), china rom/pacefied below 1.2.48h or a Stratos, use the stockified version. If the standby mode goes to black, try the other version. 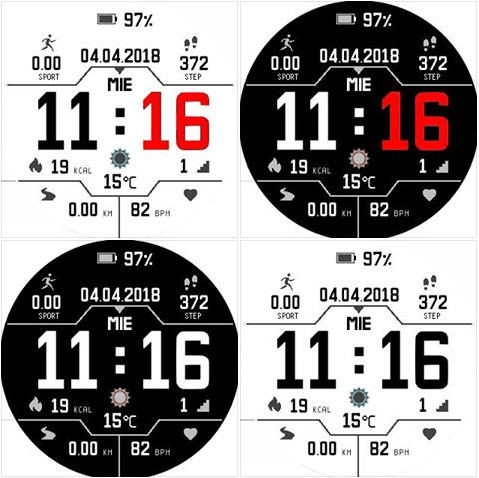 I hope you enjoy these watchfaces.